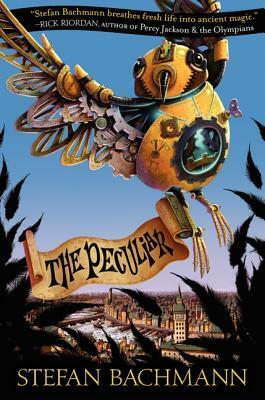 The Peculiar is a MG aged story; but one in the Harry Potter tradition. Even though the characters might be harder to relate to for an older audience, the plot and world is interesting enough to keep the non-middle graders perfectly engaged. The Peculiar is set in a Victorian-like age where the faeries have run rampant in a historical happening called the Smiling War, after all the grinning skulls. Bartholomew is a changeling, half faery child, half human. When one day a lady in a plum-coloured dress takes away his friend, he is launched into an adventure he never asked for. I very much enjoyed The Peculiar and the wonderful writing. It could be quite stiff at times, but also had its moments of brilliance that are a pleasure to read. 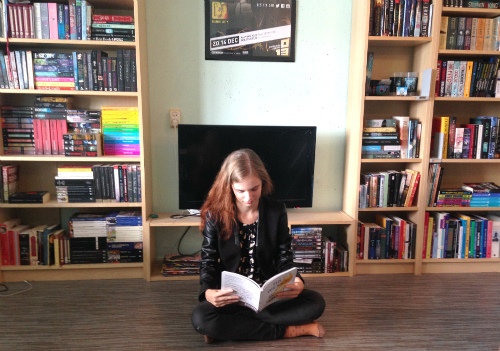 It helps that the story is very imaginative and colourful, and quite unique in execution. Bachmann has a great take on faeries, even though I sometimes had a hard time picturing some of his more interesting creatures. For the thrill-addicted reader this might not be the right book, but in my experience steampunk or any historically inspirated novel rarely is suitable for that reader. It takes a little while for the tension to build in The Peculiar, but I quite enjoyed the little introduction into the world before the story really takes off. It might seem as a wild goose chase from time to time, but in the end everything ties up together quite nicely. For me The Peculiar was a breath of fresh air in quite a clouded and musty genre. It’s not perfect as the author sometimes gets carried away with his wild fantasies, but a very promising debut novel. I’m looking forward to the next instalment of Barthelomew’s adventures!